Sweet Earth Foods was started by food and marketing veterans who had a clear focus right from the beginning. 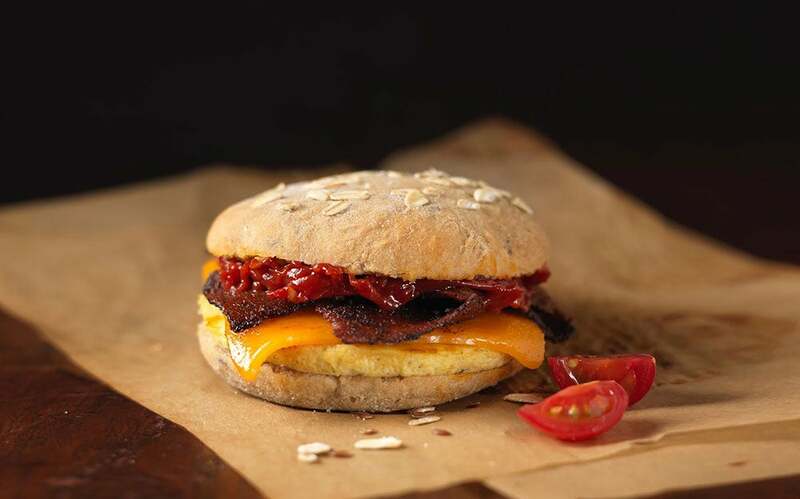 Food industry veterans Brian and Kelly Swette felt that the conversation around how individual food choices can impact the environment was falling short. This sentiment was inspired in part by their daughter, who became a vegetarian in high school, leading to the whole family eating more plant-based food. "We had turned our diet around and found that as satisfying as it is personally, it's a little bit challenging to make, because there's a lot of chopping and cutting and a lot more complexity involved in trying to get healthy food that's also delicious," Kelly says. "So, it seemed to me that there was an opportunity to combine my passion and interest in cooking with sustainability." Opportunity struck when a trademark for Sweet Earth Natural Foods went on the market. They purchased the trademark and then built a company with a product line of healthy and convenient frozen vegetarian and vegan foods. About five years later, in 2017, the husband and wife team sold the company to Nestle for an undisclosed sum. It was a notable investment in plant-based foods, which the food giant estimates will become a $5 billion market by 2020. "[Nestle is] interested in our point of view on organic, sustainability, nutrient density and all these things that we're talking about," Kelly Swette tells Entrepreneur. 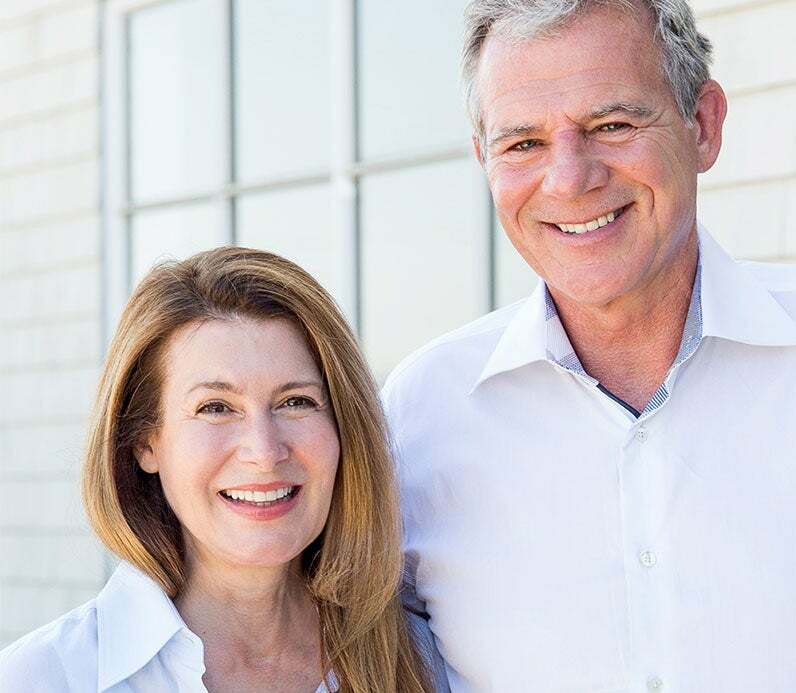 Kelly and Brian -- who remain in their positions of CEO and president of Sweet Earth Foods, respectively -- continue to control day-to-day operations of the company. Along with serving as CMO at PepsiCo, Brian was the director of Jamba Juice, a board member at Burger King and COO at eBay. Kelly was a director of marketing and then director of national sales at PepsiCo and global VP of marketing at Calvin Klein. "Everything I have done has prepared me for this job," Kelly Swette says. "All of those steps were absolutely essential." 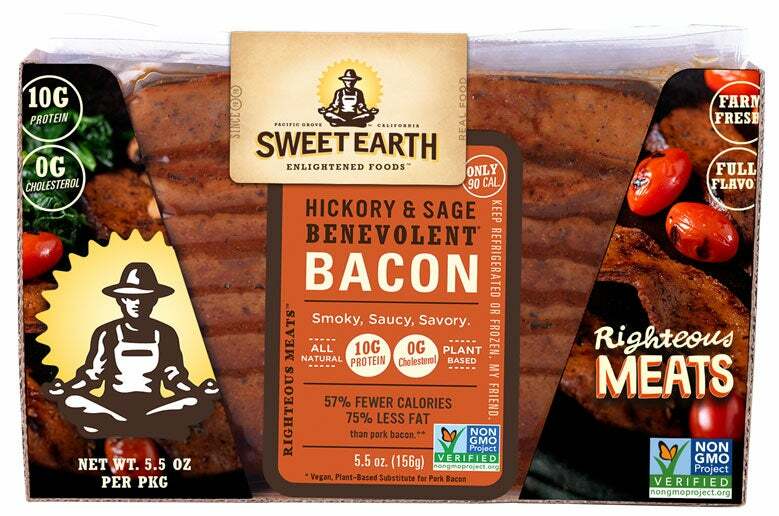 Sweet Earth Foods' currently sells about 60 products, including burritos, sandwiches, veggie burgers, bowls and most recently, pizza. Many of its products feature seitan, a meat replacement made of wheat gluten. The brand is sold in more than 10,000 stores, including Whole Foods and Target. Entrepreneur spoke with Kelly Swette about building Sweet Earth Foods, how it reaches customers and its biggest challenge. What did you do after acquiring the trademark? The first thing was I developed a mission statement and what I wanted the company to be. Then I created a brief that I used to find an agency that I felt would share and bring these values to life in a logo and packaging. What can entrepreneurs learn from your experiences in getting into retailers? The first thing is the quality of your product must be extraordinary. You need to make great food, and it needs to be something that stores don't already have. You need to have a clear market niche and know who your customer is. There has to be alignment on who your customer is, and that has to make sense for the retailer. How did the Nestle acquisition happen, and why was the company appealing as a partner? Nestle approached us at the end of 2016 [after] we became a national brand. We thought there were some real parallels in their production capability, and I would say the gap in what types of products they had. They also articulated wanting to make better, healthier foods. Every industry has its own set of challenges. What has been the big one in your industry, and how were you able to overcome it? The biggest challenge is that there's a lot of people who feel frozen food is dead. The group that we went after wanted a different type of food -- the type they eat in a restaurant. [Our food] is better food than you could make at home, and it's ready in a minute. It does satisfy a need. When we launched our bowls, our selling strategy was introducing a fresh face to frozen. It's a fresh approach, it's a fresh brand, It's vibrant colors, it's nutrient dense. We went after what wasn't there. What marketing tactics have been most effective for the brand and why? We have always believed that you need to put your money in the food and offering premium, high-quality ingredients. Then display that. Show proudly what your point of view is on the package. We dedicate more than two thirds of that package to what the food looks like, and we strive to make every bowl look like that. The food needs to speak for itself. If you look at our packaging, it is visually clean, but it's bright and bold in a way that you should expect the flavors and the colors to be. The logo features a zen farmer; it's our Tony the Tiger. The farmer, in the lotus position, symbolizes that strong harmony with the land and our belief in natural systems. If millennials don't have the tendency to go down the freezer aisle, then how do you get them to see the packaging in the first place? Social media. We put a lot of thought into the packaging, and a lot of new companies don't. They're rebranding again and again. Your logo needs to mean something. All those things need to be done in order to execute social media. If you don't have those things, you can't be good at social media. Your message isn't clear. The point of view about our values is what we focus on in our social media.